Visit 23rd PTAA Travel Tour Expo and Book Your Staycation! I know the PTAA Travel Tour Expo is what most travelers are watching out for each year! As much as I would love to pack my bags and travel on a plane with my family? Having a super active toddler will change your mind! So for these past few months, my idea of a vacation is STAYCATION! And because of my great experience for their impeccable service at Discovery Suites Ortigas late last year, I actually booked another family staycation for the Chinese New Years at the same location! Yes, I can't wait for deals but for you guys who have the time to manage your schedule and travel, the Discovery Leisure Company, Inc. (TDLCI) can fulfill every getaway desire on your bucket list! This year's theme is "A World Of Discovery", which means the company's aim is to inspire your wanderlust with plush accommodations and creative cuisine in all their hotels and resorts! 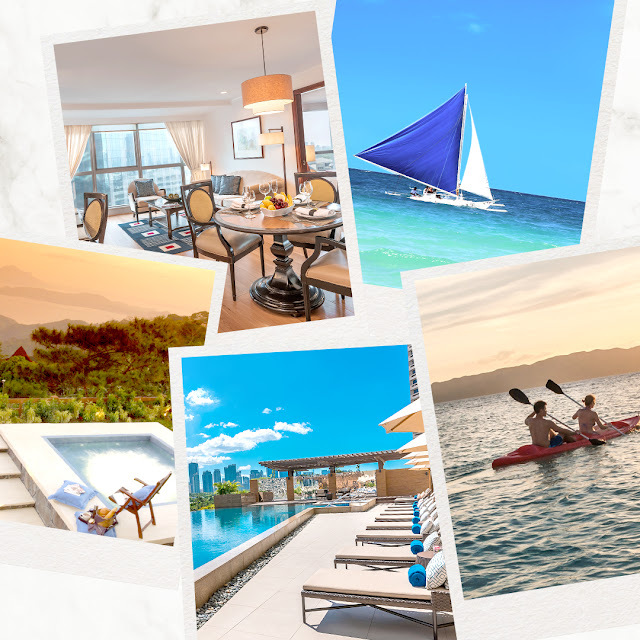 Choose any of their hotels or resorts at various locations, from Discovery Suites Ortigas, Discovery Country Suites Tagaytay, Discovery Shores Boracay, Club Paradise in Coron Palawan and the newly-opened Discovery Primea Makati. For more information, visit them at PTAA Travel Tour Expo this coming February 5-7 at the SMX Convention Center in Pasay City. I've shared this to my BFFs.